May 19, 2005 - Ring of Fire has been invited to perform on June 8, 2005 at New York City's brand new "JAZZ at Lincoln Center." They will play at a private NYC event in the 1,000-seat Rose Theater that was designed as a "symphony in the round" with seating towers encircling the stage. ROF will have the honor of working with acclaimed NYC composer Jim Papoulis and the international award-winning "Young People's Chorus of New York City" for a grand number to conclude the evening performance. "JAZZ at Lincoln Center" was opened to the public just this past October 2004 and was designed with top-rated noise reduction, unimaginable clarity of sound, and unobstructed views to create the ultimate in performance art experience. World-class trumpeter Wynton Marsalis is the Artistic Director of JAZZ. This trip will be Ring of Fire's third Manhattan performance. Their first trip was in 2001 just after 9-11, where they shared their music in St. Patrick's Cathedral and visited with rescue workers at the devastated World Trade Center site. In 2003, Ring of Fire performed to a live national audience on the CBS Early Show from 5th Avenue. Jan 16, 2005 - The musicians of ROF are thrilled to be able to file video phone reports for ABC News Now throughout the day of the Inauguration. Ring of Fire has been provided with a Sprint Video Phone and have been asked to file 15 second reports by video email "as many times throughout the day as possible." Reports will be filed from the Pentagon Staging Area, from the parade itself as ROF performs traveling down Pennsylvania Avenue, and later that evening from the Inaugural Ball at the Washington Hilton. Ring of Fire has been allowed to share their video clips with all national media, not just ABC news. Clips will be sent back to Oregon and other markets throughout the day showing a behind the scenes look at the adventures of these 13 youth from Hillsboro, Oregon participating in the opportunity of a lifetime. Jan 15, 2005 - The Presidential Inaugural Committee has invited Ring of Fire to perform at the Constitution Ball in the Washington Hilton on the evening of January 20, 2005. States represented at the ball include Oregon, Nevada, Montana, Minnesota, Indiana, Georgia, Connecticut, New Mexico, West Virginia, Wisconsin, Oklahoma as well as Guam, American Samoa, and the Virgin Islands. It will also be one of the first stops by the President and First Lady of the evening. This will be the third and final Inaugural performance for Ring of Fire. First they will share their music on January 19 at the Candlelight Dinner in the National Building Museum, then on Inauguration Day they will play in the Inaugural Parade with an audience of the President and First Lady, and later that night at the Constitution Ball. In Portland, OR, TBN can be viewed on broadcast Channel 24. Dec 05, 2004 - Ring of Fire's performance with the Boston Pops in Symphony Hall will be first broadcast on Saturday, December 11, 2004 from 7-9 pm on CBS4. ROF performed with the Pops, as well as doing their own solo piece for the special. Other special guests include country star Billy Gilman and celebrated vocalist Maureen McGovern. Charles Osgood of CBS guest narrates a musical setting of the classic "Twas the Night Before Christmas." Dec 03, 2004 - Florida Hospital's Annual Holiday Celebration was set ablaze by Ring of Fire as they shared their fiery brand of handbell music for over 6,000 people! ROF opened the evening performing with five-time Grammy winner Sandi Patty on her classic hit "Carol of the Bells." Celebrated baratone Wintley Phipps, the Orlando Children's Choir, and American Idol finalist Rickey Smith also shared their music. The Christmas special will air around the world on over 120 different stations during the 2005 Holiday season. Sep 07, 2004 - Ring of Fire is excited to announce that they will be a part of Florida Hospital's annual holiday program for the city of Orlando. This year's program is titled "The Greatest Gift" and will be held on Friday evening at 7:00pm, November 12, at Calvary Assembly Church. Special guests will include five time Grammy winner Sandi Patty, American Idol finalist Ricky Smith, Wintley Phipps who has sung for every President since Ronald Regan, and Gayle Murphy and her dynamite 100-member children's choir based in Florida. The evening will be filmed for television broadcast and a future Christmas DVD release. The concert is a free gift from Florida Hospital to the community and we hope to see you on November 12, 2004 if you are in the Orlando area! Twin Cities Bronze in Portland! Jun 21, 2004 - The Portland area is blessed to have another outstanding handbell ensemble schedule an upcoming concert. Twin Cities Bronze, directed by Monica McGowan will provide a full length concert on Tuesday, June 29. TCB is an ensemble of advanced ringers from the metropolitan area of Minneapolis and St. Paul Minnesota. Their energizing performance style captures the listener's interest and their visual presentation evokes accolades from audiences and colleagues around the country. Through musically sensitive interpretation and technical execution, Twin Cities Bronze www.handbells.org showcases their unique diversity in today's challenging secular, sacred, and classical handbell repertoire. Plan to spend a fun evening together! 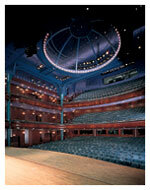 Jun 16, 2004 - Sunday, June 20's Ring of Fire 2004 Finale in the Newmark Theatre has sold-out. But ROF will be video taping the concert and plans to release a new DVD in the Fall of 2004. The DVD will feature the full concert, including the evening's performance with Portland Taiko (work arranged by Kevin McChesney and Jason Wells) and the world debut of Tim Waugh's "Fassad - Harar - Shalom." Six cameras from many unique positions will capture the evening, preserving the show for ROF history. For those who aren't able to attend the concert, please watch for this exciting release. If you have any questions, feel free to ask away as over the summer we will be putting together the special features and content. May 18, 2004 - On Sunday - June 20, 2004 - 14 musicians will take the stage in The Portland Center for the Performing Arts' Newmark Theatre for one final evening together. Join us for an evening of reflection, of world debuts of new works written for ROF, and a full concert dramatically lit by one of the top masters of lighting in the Northwest. The evening will include multi-media effects and staging that will bring a new level of excitement to the full ROF experience! Ring of Fire will look back at the seven-year journey, from the Crystal Cathedral, NBA basketball games, a Presidential inauguration, 9-11 services, and performances with the Boston Pops. It will be an ROF evening unlike any other in history. May 17, 2004 - This Thursday, the excellent handbell choirs of Concordia University, Irvine, CA will perform in Beaverton at St. Matthew's Lutheran Church - 7 pm. ROF is honored to play with Concordia for a number written by Nick Hanson as well as perform "Let All Mortal Flesh Keep Silent," arranged by Cathy Mokelbust. Concordia is wrapping up an active 7 concert Northwest tour. We are hoping you will join us for an exciting evening with Nancy Jessup, Nick Hanson, and the Concordia Handbell Choirs! May 06, 2004 - On Thursday, May 13, 2004 - Ring of Fire will appear on the Emmy award winning weekly television series "Oregon Art Beat" produced by Oregon Public Broadcasting (OPB). The show will include interviews and segments of a previously filmed Portland ROF concert. The show will air at 8:00pm on channel 10 in the Portland Metro area. Set your VCR's and Tivo's and catch the FIRE! Click to view the Art Beat listing. Feb 27, 2004 - Ring of Fire heads to Arizona today for a weekend of concerts in the Phoenix, Scottsdale, and Tucson areas. Their first time to visit this area, they are excited to share their music in Arizona. With 2 partial concerts and 3 full concerts, their weekend will be busy. Visit the Schedule page for the most up to date details including dates, times, and locations of each venue. If you live in Arizona, we hope you can come experience this energetic musical group of young people or tell your family and friends about it. Please stay by after each concert to meet the group in person. All concerts are free of charge, although a free-will offering will be made available for those who would like to contribute. Recording products will also be available for sale after each full concert. Feb 03, 2004 - The group is excited to be leaving on tour once again. Leaving Feb. 6, 2004, the group will be gone 12 days traveling around Mid-America. We are looking forward to visiting with friends from past tours as well as making a lot of new ones! ROF has concerts planned in several cities that have never been visited by the group. After leaving the Chicago area, ROF plans to perform in areas surrounding Detroit, Cleveland, Pittsburgh, Columbus, Cincinnati, Indianapolis, and Springfield. ROF hopes you'll share our tour plans with friends and relatives. Please visit the ROF Mid-America Tour page for tour details including the itinerary and repertoire. Jan 14, 2004 - Today ROF leaves for Texas on a 5-day tour that includes their showcase performance at Pinnacle 2004, a national handbell convention held once every other year. Pinnacle '04 is in Dallas and attracts handbell enthusiasts from around the continent. ROF begins their tour with a trip to San Antonio area where they will sightsee and then perform a full concert in the evening at the First UMC in Boerne. They then drive to Dallas for the convention, which will be held at the Hotel Inter-Continental. Friday, Jan 16 is ROF's showcase performance at Pinnacle, starting at 9:30 am. After the close of the convention, they will head to Austin for another full concert Sunday night at the Hope Presbyterian Church. Everyone is welcome to attend either of the free concerts in San Antonio and Austin, although a free-will offering will be taken and ROF products will be available for sale. The public is also welcome to attend any of the showcase concerts at Pinnacle including the performance by Ring of Fire, but tickets will be required for each concert and will be available at the door ($5 per person). ROF hopes to see you there and please stay by after a concert to say hello! For all the details on the ROF Pinnacle/Texas Tour please visit the ROF Texas Tour page. Nov 06, 2002 - On Thursday, Nov. 14, Ring of Fire flies to Kansas City, MO to start their whirl-wind 12-day tour of the Midwest. With over a dozen concerts and church performances, they will be bringing their spirited music to a record number of locations for an ROF tour! Please take a moment to explore the adventure on the Midwest Tour page, where you will find the story, itinerary, and repertoire for the tour. ROF hopes to see you very soon, and as always, bring a van load of friends! Oct 30, 2002 - The ROF web site has moved to a new domain name. You have found our web site at ringoffire.org for the past 18 months. But we recently obtained the new and shorter domain name rof.org and have made it our new home for our web content. You can still get to our web site by typing in either of our two former domain name addresses... "ringoffire.org" or our even older address, "ring-of-fire.org". This means you can get to our web site using any of 3 web addresses. But we think our newest address is the best, it's short and easy to remember. Update your web browser "favorites" or "bookmark" address with this change. The web site move also offered an opportunity to change the font family on the site. It now uses a sans-serif type font that we think you will find easier to read. We hope you enjoy the changes to the site! Aug 29, 2002 - On 9/11/02, ROF will take part in an hour long televised program to recognize the one-year anniversary of the terrorist attacks on New York City and Washington D.C. The event will be held across the street from the Oregon State Capitol Building in the Capitol Mall Plaza. The program will begin with a procession of police, fire, medical, public health and public works responders led by the Tualatin Valley Fire & Rescue Pipes and Drum Corps. Dozens of emergency and military vehicles from around the state will be parked along Court Street and fire trucks from several jurisdictions will form an arch with their extended ladders. An honor guard comprised of numerous law enforcement and military agencies will present the colors, followed by the reading of the Firefighters' Prayer, the ringing of a station bell and a moment of silence. A military fly-over is being planned by the Oregon Air National Guard. May 15, 2002 - The incredible Raleigh Ringers, all the way from Raleigh, North Carolina, will be in Portland in June! David Harris, director of RR, is the clinician for the Area X festival at Lewis and Clark College which will bring many handbell choirs together from 5 states and British Columbia! The Raleigh Ringers will present a full concert on June 21, 2002 at 8 pm at Wilson High School's performance auditorium. Ring of Fire first had the opportunity to hear RR live at Pinnacle 2000 and it was an evening we will never forget! They are certainly one of the most versatile choirs in the world as they perform many diverse styles of music with a clarity and musicality that leaves one on the edge of their seat! They perform on a full seven octaves of bells and have several additional sets of unique bells they mix into their music. It will be an incredible evening of handbell music at a world class level!!! Also of exciting note, while on tour in the west, the group will be performing at the Crystal Cathedral for the Hour of Power telecast on June 16, 2002. The TV telecast will air at 7 am on Sunday, June 23 in Portland. For more information on the Raleigh Ringers, please visit their website at www.rr.org. For more information about the upcoming Raleigh Ringers concert, please contact Dorothy Coombs at 503-293-5476 or email her at djcoombs@teleport.com. Apr 24, 2002 - This year's season finale concert, Reflections and Remembrance will be on June 2, 2002. This special evening is planned to take place at the Tualatin High School Performance Auditorium in Tualatin, Oregon. In addition to a few of the favorite energetic pieces Ring of Fire is known for, they will be performing a number of new works in honor of those lost on 9-11. There will be special guests from the Tualatin Valley Fire and Rescue and a portion of the ticket sales will be dontated to special TVFR programs in honor of the victims of 9-11. The evening will include interviews of ROF members, all who shared their music in New York City just weeks after September 11. The evening will also include a patriotic performance of America the Beautiful while a 9-minute video rolls with scences of the group at Ground Zero, the Pentagon, and other powerful spots on the East Coast. We hope Ring of Fire friends and family in the Portland metro area will plan on joining us for an evening that will not be forgotten! Thank you so much for your continued support of Ring of Fire! Mar 28, 2002 - Chamber Music Northwest presents the radio program From the Top, hosted by the internationally renowned pianist Christopher O'Riley. Heard on more than 240 radio stations coast-to-coast, the program has been called "the best thing to happen to classical music since Leonard Berstein's Young People Concerts" (Minneapolis Star Tribune). The upcoming performance will mark the first time the excitement of handbells has been brought to the national audience of "From the Top", which enjoys the widest listening audience of all classical radio programs. Ring of Fire is scheduled to perform both Martha Lynn Thompson's transcription of the "William Tell Overture" by G. Rossini, and "Tempest" by Kevin McChesney. In addition to Ring of Fire, the concert will include Evan Premo, a 17 year-old double bassist from Amasa, MI, Pala Garcia, a 17 year-old violinist from Berkeley, CA, Nicholas Anderman, a 18 year-old bass vocalist from Leavenworth, WA, and Tien-En Liu, a 17 year-old pianist from Lakeland, Fl. From the Top is taped live and will be broadcast later in the Spring (watch website for announcement of scheduled airing). The program includes interviews of guest musicians as well as their musical performances. The concert is open to the public. Tickets are $10 for adults and $5 for students and children. Please purchase tickets by calling the Chamber Music Northwest Ticket Office at (503) 294-6400. Feb 13, 2002 - Ring of Fire will be heading to sunny Florida on Thursday, February 21 as they begin a 9 day tour centered around the Orlando area. There are two AGEHR concerts scheduled and several church service appearances, as well as a performance at EPCOT Center at Disney World. The remainder of the trip will include R&R at several Magic Kingdom parks, visiting the Space Center and of some beach time tickling their toes in the Atlantic Ocean. ROF will be selling their newly released DVD at several of the trip's concerts. For more details about this tour, visit our Florida Tour page. ROF Releases First Handbell Music DVD! Feb 11, 2002 - The long awaited ROF DVD is finally here! Over a year in the making, this is the first ever DVD to capture the energy and excitement of handbells. With nearly 3 hours of video and audio, plus over 100 photos from 2001 tours, this DVD is jam packed with content you won't want to miss. Featured on the DVD is the 2001 season finale concert at the Newmark Theatre in downtown Portland, Oregon on August. 1, 2001. With a packed house of over 900 people, this concert featured the NW debut of several new pieces, including Mendelssohn's "The Italian Symphony" as transcribed by Kevin McChesney, Bill Whelan's "Firedance", Walter Saul's "Parousia", and more. Also featured on this DVD is a documentary video taking you on tour with ROF as they took part in a Portland Trailblazer basketball game National Anthem, then heading off to Washington, D.C. for Pres. George W. Bush's Inauguration festivities. Also join in the tour to California and the performance at the Crystal Cathedral. This documentary features interviews, concert footage, and a unique behind the scenes look into the lives of this energetic group. Activate and enjoy listening to director Jason Wells's commentary along with special guest and composer, Kevin McChesney, as they discuss the entire full length of the featured concert. In addition, the documentary also features a full audio commentary from producer John Griffin and Jason Wells if activated. Their behind the scenes comments will add special insight into the magic of Ring of Fire. This incredible handbell first is packed with so much content you will return to it again and again and find new things each time! For more information, please see our recordings page at Recordings. Feb 10, 2002 - ROF will perform at the patriotic “Heal Our Land” benefit concert for the Henderson House and Juliette House (local shelters for abused women and children) on February 14 at 7:00 pm at the Evergreen Aviation Museum (home for the famous Spruce Goose) in McMinnville. Wintley Phipps, world-renowned vocal artist from Washington D.C. will also be featured along with ROF to pay special tribute to Yamhill County’s Veterans, Military, Firefighters and Law Enforcement Officers. Tickets are $18 at the door or by calling 503-472-1503. Dec 23, 2001 - ROF will be one of the featured guests on KOIN-6 TV in the Portland, Oregon area on December 25. The 1-hour show, entitled "David Sweeney Christmas Special" begins at 6 p.m. on channel 6. Taped earlier in the Old Church in downtown Portland, ROF will be performing 4 songs. Set your VCRs or gather the family around the TV Christmas day at 6 pm for this special Christmas show. Nov 28, 2001 - If you want to experience a sample of the new, soon to be released Ring of Fire DVD, visit our Recordings page. Two sizes are available depending on your internet access bandwidth. Go with the smaller version if you have low bandwidth access (56k modem). Both sizes are in Windows Media File format and require that application player plugin to be installed. A link is provided to download it free from the Microsoft web site. Make sure you have the latest version installed for your platform. These videos are a streaming media so you will be able to watch the movie as it downloads, once it has buffered enough of the file to do so. Directed by Micheal Burch-Pesses exuberantly celebrates voice, the human instrument, in a cappella stylings of holiday music and more. The 12-voice choir dazzles with their tight harmonies and obvious love of singing. Organist Dan Miller, has toured internationally as a representative for Rodgers Instruments. His masterful stylings bring out the full beauty and majesty of this instrument. Tickets can be ordered by calling Barbara Hanson at (503) 648-3979. Tickets cost $10 ($8 for students/seniors). Nov 06, 2001 - Ring of Fire will be performing with two sensational vocal groups from Oregon. The Salem Boy's Choir, directed by Darrell James has represented Oregon throughout the United States and Canada, and have toured the Czech Republic, Austria, England, and Wales. They have appeared in a number of Portland Opera productions and in Carnegie Hall in New York City. Sprague High School Concert Choir, in conjunction with the band & orchestra, was named the National Grammy Signature School for 2000. They have also received numerous awards locally and regionally in choral festivals. Director, Russell Christensen is recognized for his musical excellence in the choral community. The performance will be on December 2 at 7:30 pm at St. Mary's Church in Mt. Angel. The church is known for its incredible acoustics. The concert is recommended for children over 5 years-of-age as this performance will be professionally recorded. Tickets must be purchased in advance. Oct 18, 2001 - For the first tour this year, ROF is going to the Washington, DC area and New York City Nov. 12-18, 2001. The group will perform at the AHC Mission Conference in Silver Springs, MD, as well as participate in two church services in the DC area. In addition, the ROF will be participating in a Sunday morning Mass on Nov. 18 at the St. Patrick's Cathedral in downtown NY. Check the Washington DC-NYC Tour page for itinerary and details. The group will be touring some of the famous sites while in the DC area and hopes to visit "ground zero" for the recent terrorist attacks in NYC. Jul 28, 2001 - The Ring of Fire announced for the first time the coming release of their latest audio/video product, the "Ring of Fire 2001" DVD at the AGEHR Handbell Spectacular July 28. At the start of the ROF performance, the lights were dimmed and a 2 1/2 minute trailer was projected on screen for everyone to see containing glimpses of what will be on the DVD. While it is still a work in progress, all the video footage has been shot and is well into the editing stage with significant portions already completed. Scheduled for release and availability this Fall, it promises to be a very exciting production. It will contain a full videotaped concert, 2 tour documentaries, behind the scenes video footage, interviews, still photos, and more. Documentaries will include the group's trip to Washington DC for the Presidential Inauguration as well as their Spring tour to California including their concert at the Crystal Cathedral. This DVD will likely be a "first" in the handbell community and something that will be very popular. While pricing has not been announced yet, we will let you know as soon as we have more information to share on the availability of this DVD. Go to our Recordings page to view cover shots of the DVD and the trailer video shown at HS in Palm Springs. Jul 24, 2001 - This week, AGEHR staff, board members and officials, directors and ringers from all over the United States will meet in Palm Springs, California, for the first Handbell Spectacular. This event, to be held every three years, is scheduled for July 25 through 28. ROF has been asked to perform a full showcase concert Saturday night at 8:30 pm. Concert is open to the conference attendees and others who arrange for tickets through AGEHR in advance. ROF will also be performing three pieces at a church service Saturday morning in Loma Linda, CA about an hour west of Palm Springs. They will be participating in both worship services at the Loma Linda University SDA Church starting about 8:00 am and then again about 10:30 am on July 28. No other concerts are scheduled during this trip to California. The group plans to relax and enjoy some sun and 'coasters before heading back home to perform their season finale concert Aug. 1 in Portland OR. Jun 25, 2001 - In appreciate for the generous support this year... Ring of Fire Handbell Choir gives back to Oregon! In January, the group traveled to Washington, D.C. to perform for several Presidential Inaugural events. ROF would like to say a big "Thank You" for the wonderful support of many in the Pacific Northwest. Get your tickets now for this free, reserved seating concert on August 1, 2001 at 7:30 pm. May 01, 2001 - A new domain name, "ringoffire.org" has been obtained and added for web site access. While the original web site domain "ring-of-fire.org" is still owned by ROF, it will now redirect visitors to the new domain name "ringoffire.org" automatically. You may use either domain name to access our web site, but the web site home is now located at the new domain, "www.ringoffire.org". We encourage you to update your bookmarks/favorites to reflect this change. ROF to Tour in Chicago and SW Michigan Area! Feb 26, 2001 - Another concert tour has been added to the already busy ROF schedule...this time to the Chicago, IL area. Details have not been completely finalized but venues currently planned include a special Festive Evensong concert at the Pioneer Memorial Church in Berrien Springs, MI. This church is on the campus of Andrews University in SW part of Michigan. The focus of the service is a celebration of the new festival trumpet, dubbed The Centennial Trumpet, to be installed this spring by the Casavant organ company. It is intended to be a dynamic program, with regard to the style, fitting well with the "fast and energetic" style of the handbell choir. Dr. Niels-Erik Andreasen, university President, will also lead out in a liturgy during the service. This is also commencement weekend at the University and will likely be crowded, so come early. Public is welcome to come to this special free concert. ROF to Play for Oregon State House and Senate! Feb 14, 2001 - It has been confirmed that the ROF will be playing at the opening of the Oregon State House and Senate on March. 15. A short performance will be performed for each chamber, with the performance for the House chamber at about 11:00 a.m. and the performance for the Senate chamber about 11:15 a.m.